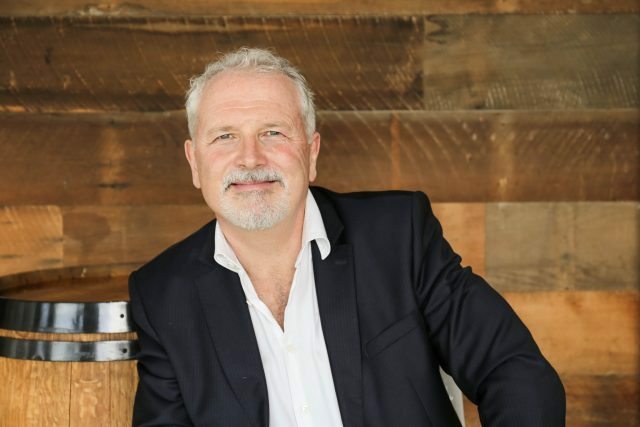 Having worked in South Africa, London, Jamaica and Russia, Adrian Garforth MW has now settled into his new role as CEO of New Zealand’s Yealands Wine Group. The dynamic, quick-witted powerhouse gained his master of wine title in 1993 while working for Diageo. Having a flair for obtaining “the impossible”, Garforth moved to South Africa and established Spier Wine Group before opening up a WSET school in Russia as well as the first fine wine importing company in Jamaica. The master of wine sat down with dbHK this week, and chatted about how he traded a prospective pharmaceutical career for booze, his ideal dinner party with Nelson Mandela, Bob Marley and disgraced cyclist Lance Armstrong. 1963, an absolutely awful vintage all around the world except in Port. 63 Vintage Port is absolutely fantastic, that’s probably me. Whenever the answer is looking crap, I do something a little bit different. Which bottle sparked your love of wine? I was working for Diageo at the time and I knew nothing about wine. The reason I got into the booze business was because it’s liquor. I studied biochemistry and I actually had a job lined up in the pharmaceutical industry. I was going to do a PhD in Switzerland. And at the last minute, I started to look at other jobs, I was offered a job at IDV (International Distillers & Vintners), which is now Diageo. It was a less-paying job and the prospects were less good than the pharmaceutical job but it was booze. And as a student, this was an easy decision, so I decided to join the liquor industry and I never, ever regretted it. But I knew nothing about wine whatsoever and, in fact, Diageo is not a wine company. But we had some wineries in France, a couple in Bordeaux and we also had some interest out in California. We had Inglenook and Beaulieu Vineyard in Napa. I was employed in London and we were tasting some French wines. I tasted Château Tour de Pez St. Estephe 1982, and 1982 was such a great vintage, and I tasted some other wines from Bordeaux from that vintage, and I think that’s what sparked my interest. The same year around 1986 and 1987, I was lucky enough to go out to Californian vineyards, and we went to Heitz Celler and I had a private tasting with Joe Heitz, and we tasted his 1981 Martha Vineyard Cabernet Sauvignon. And I think in that combination, I decided this is something I need to learn more about. These are the wines that got me into the wine industry. I am Champagne Charlie. Probably a Charles Heidsieck Blanc des Millénaires 1995. I am very lucky to do the job that I do, and know the people I do. Hopefully when I am with them, we can enjoy ourselves. We work hard and play hard. I hope people won’t think I am snobby. It’s probably when I get home. I couldn’t do what I do without the support of my family. What I love about home is when I got back, it’s like I never left. They expect me to cook. It’s great. Oh my word! This is like confessional. I am too often the last man standing. I probably stayed up a little bit too late. [How late are we talking about here?] You don’t need to know that! It could be pretty late or pretty early! I am lucky to have had a lot of mentors. Fundamentally I want to trust people and I really believe in the goodness of human nature. You can’t do anything without people around you, so fundamentally I trust the goodness in people. [Even after someone put a death threat on your head in South Africa?] There’s not many people who want to kill me! There’s a few people who probably like to but nobody succeeded yet. I have a single bottle of a Swartland Shiraz from 40-year-old vines that was produced by a visionary guy called Graham Knox in South Africa. It was produced 15 years ago before everybody realised how important Swartland can be. That vineyard doesn’t exist any more. It’s a testament to someone’s vision and it’s an absolute superb bottle of wine. People, the best and the worst as well. I’ve never met people who are more passionate about their products than people in the wine industry. People are genuinely interested in wine. I love to share my passion with them as well. The worst is actually that some people lack confidence. I actually encourage people to taste wines blind, not to call them up but to see what they really like. I am not sure if I have a bucket list. I am lucky enough to be able to taste, probably in my capacity as a master of wine, a lot of great wines in my life. I enjoyed them but often it’s the wines that you least expect to be good that blow you away, so I think to set a bucket list, you are inviting trouble. Things are never as good as you expect, are they? A bucket list is something you wait on, so don’t wait. I am a big fan of doing it now. If there’s something you gotta do, do it now. Don’t leave it for tomorrow because tomorrow might never come. Nelson Mandela. I was lucky to see him. I was in South Africa in mid 1990s, and he had just resigned and Thabo Mbeki had taken over. Seeing him walking in with his wife, it was like Jesus had walked into the room. I promise you it was the most incredible experience. Also, I would invite Bob Marley because I love Jamaica. I would invite my family as well. I barely see them. You know what? Lance Armstrong as well. I can’t believe anyone could dupe the world. It’s just the most incredible fraud. I would love to meet him and understand how he did what he did. It would be a fascinating conversation. I would have the best conversations with these three. It’s not for me to say, only other people can rate me. I don’t have any delusion of grandeur. You need to speak to other people. Don’t speak to my wife though, that would be really a low score! Which wine would you like served at your funeral? It’s a celebration. We need to celebrate! It would have to be wines from my birth year, maybe a Dow’s 1963, Blanc des Millénaires, that’s a celebration drink if there’s ever one. Anything that would make people happy. It shouldn’t be a sad occasion. It should be a celebration of life.